What do you think of quaresma on 8 chem as rm to replace cuadrado in my serie a squad? link with cancelo and ronaldo. Perisic as lm and fb de Rossi and rttf hamsik cdms. Quaresmas if looks lika a nasty card with h/l 4wf 5skill and 96 crossing😀 Other striker is currently sif belotti. He looks great, but 68 stamina is a big con. Dont think he is playable outside of a supersub. Would Nedved work well as a CDM? paired with someone taller? anyone tried Baggio this year? As Striker or on the wings? How would you compare the two formations? yeah, maybe i try this. But the next question is, is Rabiot good enough to replace De Bruyne? I like his normal card but is he good enough for the big battles in WL with all the icon coming up... not sure. btw. just saw https://www.futbin.com/19/player/19471/Marçal/ with Shadow looks pretty good. I m not a fan of Rabiot, but he seems to work for a lot of people. If you want to keep KdB, one of the Sane versions would also be a good option. Added the new custom tactics to the guide, and will slowly be uploading gameplay videos vs different formations and opponents to the guide. Since 10 minutes of only gameplay might be a bit dull to watch, I was thinking of commentating over the matches. That would allow me to go into much greater detail about how I intend the formation to play than its possible in written form. Would you guys be interested in smth like that? What camera settings do you have? Tele Broadcast 20 height 0 zoom. @EnzoGambaro I wouldnt sweat it too much, we all know how frustrating games get when the gameplay is bad. I m contemplating quitting WL alltogether, since I enjoy DR much more, and the WL rewards just dont seem worth it unless you finish elite and higher. What I was wondering lately: How do you approach games where you are 2-0 up against counter-attacking opponents, and theres still plenty of time to play? I used to try and see these games out with keeping possession and attacking very carefully. But we all know how it goes, opponent scores one lucky goal, and we are in trouble. Same settings as me but looked different on your video for some reason. Dont think that would help much. Best way to make the formation more solid in defense is to have the wingers on come back on defense, and play with narrow width on defense. Problem with the wide 41212 (compared to 4222 or 442) is that you sacrifice a lot in defense, without gaining much on offense. The 2 striker + cam triangle is nice to have, but with everyone playing drop back or at least very defensive, having an extra man in the box doesnt get you much of an advantage. Ah, is that your stadium? To be honest, I see what you say, but before selling my Eusebio and go straight on 4222 I would look for a trade off. Here also. Try the loan now. Nah. Don’t think Bergkamp is a good lone striker. Raul overall is better but Bergkamp shooting is insane. Will try out Bergkamp's loan card and swap with Cruyff for a bit and see how they compare. Griz has formed a great strike partnership with PIM Henry. My attack feels very fluid and his H/H workrates mixed with the false nine instruction is working great. What do you think, are Flashback de rossi and petit too defensiv? I'm not getting on with FB De Rossi so far, too defensive it seems for 442(2). Petit and Pogba get up the field but De Rossi not so much. Maybe can change it by taking De Rossi of Stay Back, either default or stay forward will help. Will test it tonight. Lads! Should I throw Crespo into Bergkamp? Been waiting for the day to find a reason to replace him haha. I can’t say this enough but Griezmann is amazing, especially for the price you pay! His WF can sometimes be annoying but he still bangs in goals with his right every now and then. Wouldn’t that be a waste as you paid alot for Butra? Bergkamp looks amazing indeed, but maybe you can complete him in a week or 2 with some decent rewards and FUT Birthday around the corner. yea was a bit too overexcited yesterday . Would indeed be a waste since he only saves me ~350k, probably better to just trade for that for a couple days. And both of them together up front would be ideal. I’m tempted to do him too, as he’s dutch and an Arsenal legend and with the new updates and stats he seems like an amazing striker, with an engine chemstyle his pace, shooting, passing and dribbling all goes to 90+! 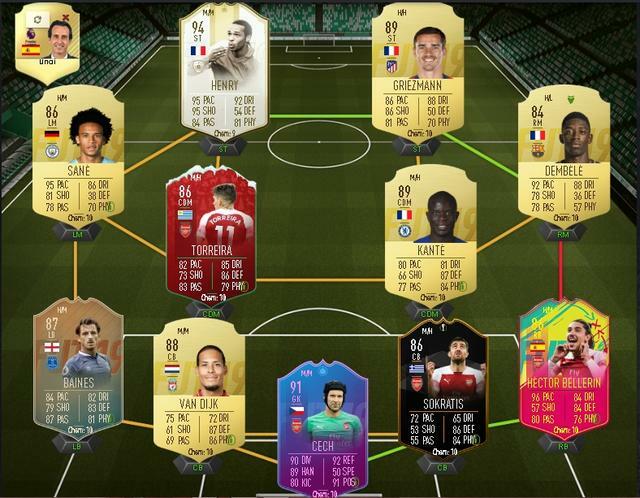 The SBC is definitely really good value for money. Doing the loan sbc now to see how I like him, and if he s as good as I hope, going to take untradeables from now on and work towards the sbc. Got ~400k right now, untradeables save me about 200k, so probably just need another 500k in coins and untradeables to do him. Will also try the loan out later today, if I like him I’ll do him right away as I have 1.3m in the bank + a few 83, 84 and 85s. Would solve all my chem issues and give me the perfect striker. Prime Crespo vs PIM Bergkamp? Would he be a good partner to Ben Yedder? 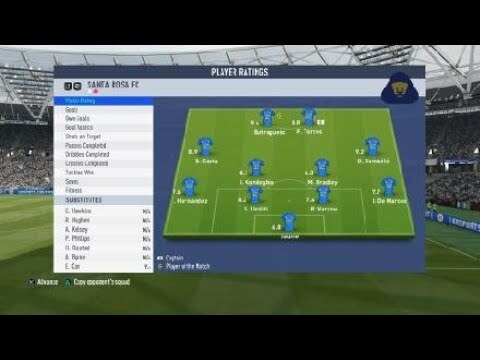 Ive played with Socrates in draft and honestly couldn’t get along with him. Guess taller players with low balance just don’t work for me just like FB Ibra and CR7. I’m also tempted to do PM ADP, loved his card in draft at striker, he basically won me the draft, such a great card! I’ve used PIM Bergkamp, his shooting and passing is excellent. You prob won’t regret doing him for that price. I used him for 20 games before selling him. He scored more than Prime Cruyff and POTM Aguero for me. Why did you end up selling him tho? How was his dribbling? Only thing holding me back is his height and balance altho with an engine all his dribbling stats go to 99.